An Indian American student has won Houston’s Youth Poet Laureate title for her poem ‘After Harvey,’ reported Houston Chronicle. 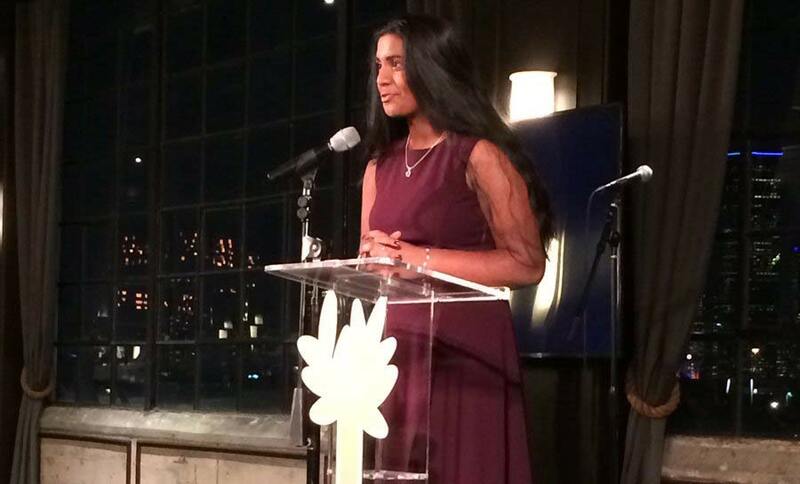 Rukmini Kalamangalam, a first-generation Indian American who attends Carnegie Vanguard High School in Houston Independent School District is the first Indian American and third youth to win the title. The program is evolved out of a partnership with the Mayor’s Office of Cultural Affairs, Houston Public Library, and Writers in the Schools. Kalamangalam’s one-year term includes a scholarship, publication in the Houston Chronicle, and mentorship from Houston’s Poet Laureate, Deborah D.E.E.P. Mouton. Kalamangalam will also serve as Cultural Arts Advisor to the Mayor’s Youth Council. Kalamangalam had applied three times earlier too. Each time she submitted five poems, three essays, and a resume to take part in the competition. Every year, the top five finalists are interviewed by a panel of experts and narrowed down to two. For this year’s winner, the mayor made the final selection, and the winner was announced at the annual WITS gala, which took place this year on Thursday, Nov. 9. According to media reports, the gala held at The Astorian raised nearly $200,000. Kalamangalam was born in England, where her parents met in graduate school. The family immigrated to the US when she was six. She has attended Roberts Elementary and Lanier Middle schools prior to Carnegie Vanguard. Creative writing provided a safe space to process her experiences, she said. As Houston Youth Poet Laureate, Kalamangalam hopes to extend similar opportunities to Houston youth. She added that she is especially interested in breaking down divisions between communities, age groups, and writing genres. She plans to study economics in college and follow that with studies in international law and wants to become a lawyer.